Being prepared and organized for the summer rush will assist in having a trouble free and relaxed season for you and your staff. Below you will find suggestions to help you prepare. Revise Menus Contact your Findlay Rep for details! This is most important when preparing for the summer rush. Look closely at your menu to determine what works and what doesn’t. 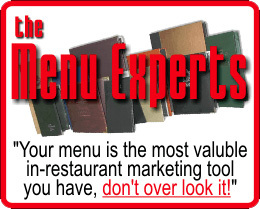 Research trends and possible increases in the market, then adjust your menu accordingly. Findlay Foods has a knowledgeable team in place ready to help you out. Ask your Findlay representative for more information. Schedule one day a week to cleaning up your restaurant. After winter, with all the snow and salt, floors need extra attention to have them ready for summer. Have carpets steam cleaned and floors waxed. Clean out the office, storage rooms and coat rooms. Don't forget the kitchen; the hood, equipment and all shelves could use a good scrub! Having your equipment in good working condition is key when preparing for summer. Have professionals come in to check and clean all refrigerators, freezers, ice machines, air conditioners, cooking equipment, dishwashers and the exhaust hood. With little to no breakdowns, this preventative measure will assure smooth sailing through the summer months. Don’t wait until you are busy to hire new staff. In order for people to work at their best they need time to train and learn the proper procedures you have in place for your business. Hiring early gives you time to hire the right staff, time to train and to schedule properly. Remember they will need holidays too so make sure you have enough people to cover the shifts. Consider casual staff for this. If you are fortunate enough to have a patio, this is the time to get it ready for guests. Clean it up, get planters and lights and prepare your patio menu! With so many holidays in the summer, it is important to have a marketing plan in place. Mother’s Day, Victoria Day Weekend, Father’s Day, Canada Day, the Civic Holiday and Labour Day. Having your events and specials predetermined will make it easier on your staff to get things ready. Less stress and confusion is always welcome when you are busy. Don’t forget about your online marketing. Update your web page with all your upcoming events and cross-promote with other businesses with links on their web page and special promotions for customers.